Ever since 1966, a year even before colour television swamped German households, a grand jury awards a gold plated camera to actors, musicians and entertainers. Again this year, we were asked to support this event with words, deeds and a unique design. The task was to depict the ‘stress field’ between two centuries without it feeling dated. 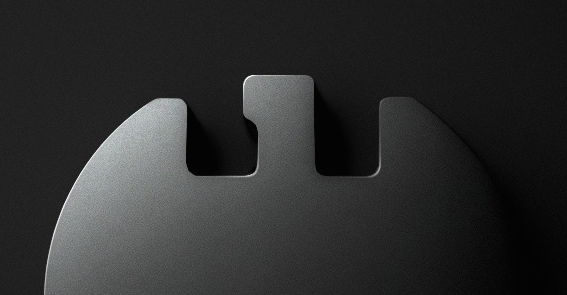 The modern typefaces Grotesk Walsheim built the basis of this. 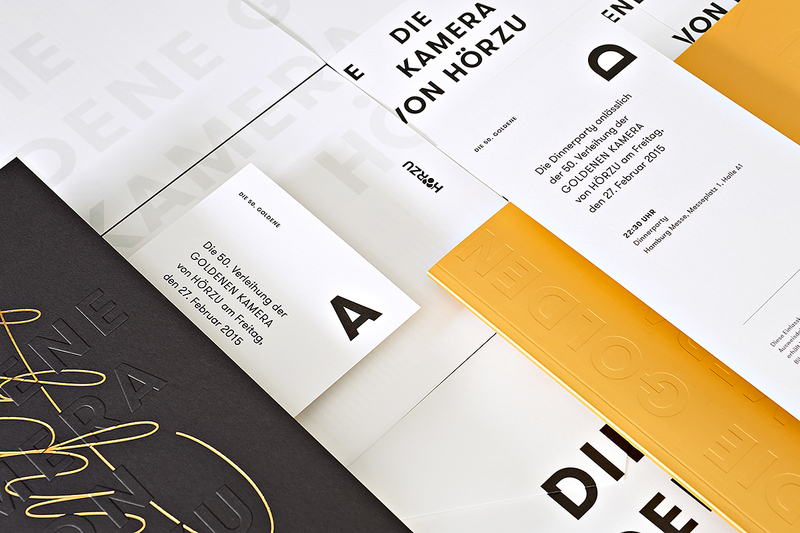 Two type styles are being used prominently on all printed materials. 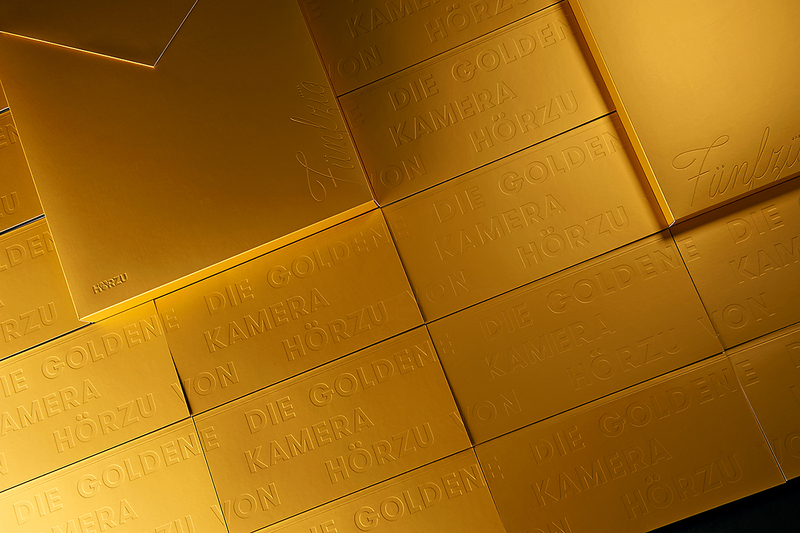 A look back is cast to the beginnings of the Golden Camera with the lettering “Fünfzig” (meaning ‘fifty’ in German), that was created solely for this event. It is used discreetly, always as a hot foil stamp. 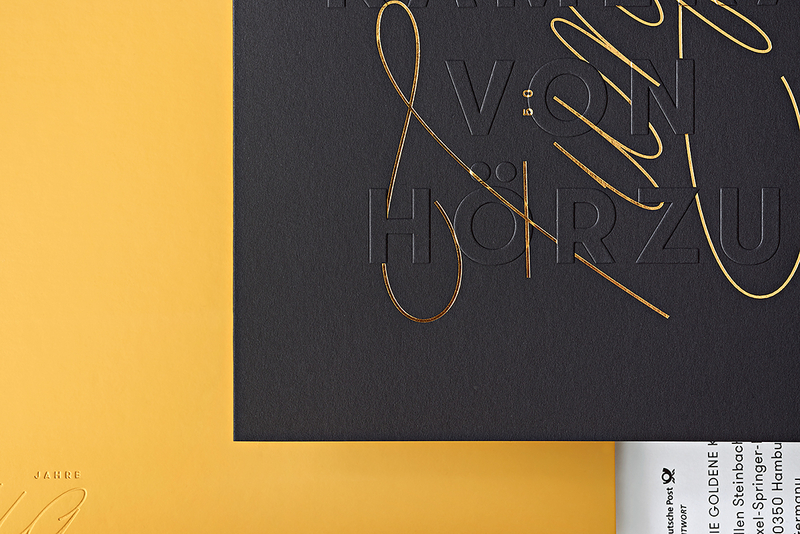 On the invitation it is nestled closely up against the lettering of the Golden Camera. 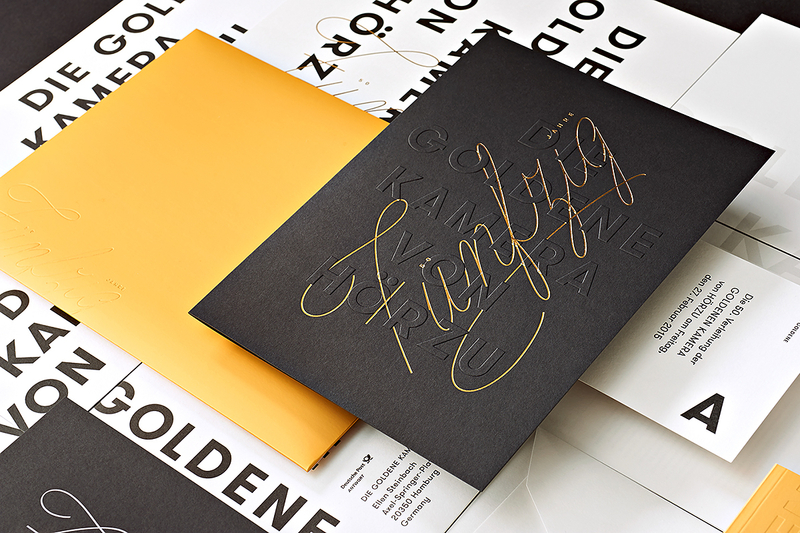 The materials we chose are a golden paper with a softtouch coating and an “Ultra Black” paper. 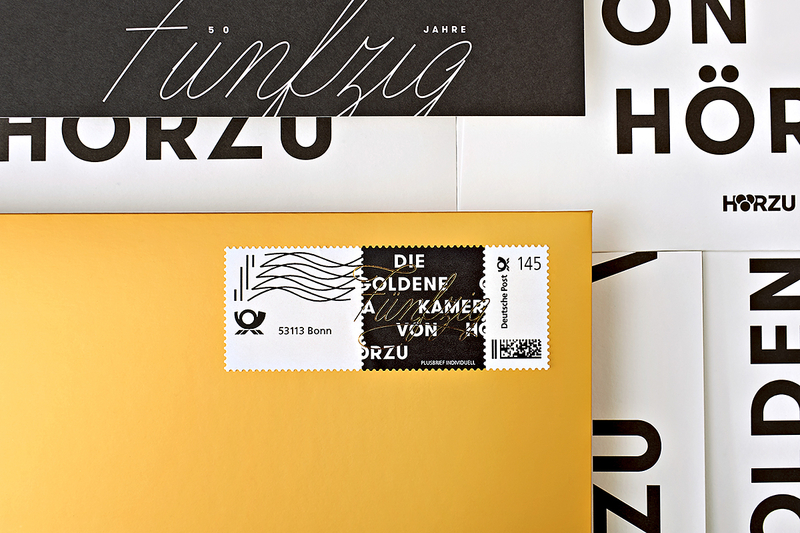 The stamp, which was also especially created for this event, is held in black, white and gold. 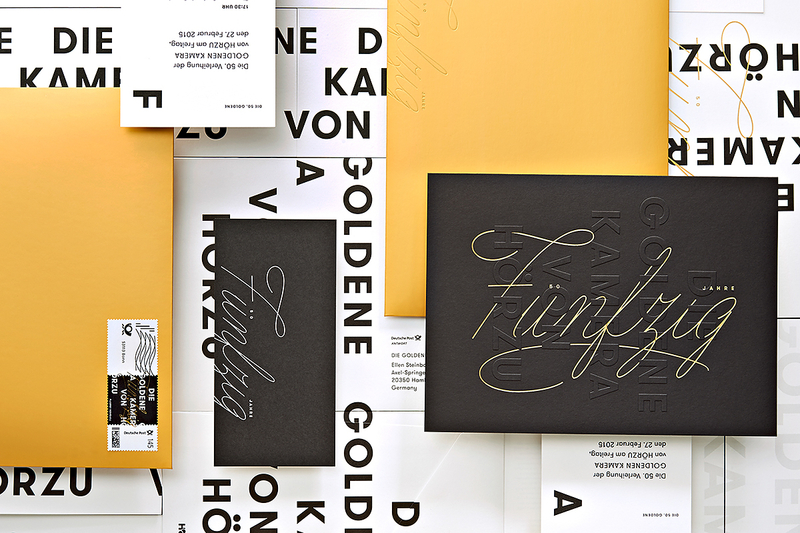 Being both the highlight and the final element, the programme is designed in the style of a gold bullion.